The sudden demonetization move made by PM Modi earlier this month has certainly impacted the lives of people in one way or the other. The demontization has affected the families and traders the most during the ongoing wedding season. 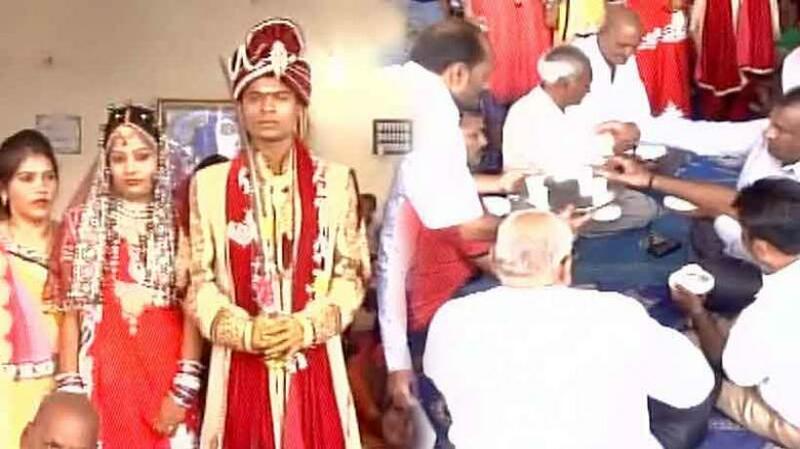 One Surat couple, Daksha and Bharat Parmar, decided to give up their plans for a grand wedding and got married on a budget of merely Rs 500. The wedding took place on November 2 with no extravagance and the guests were served tea and water. In spite of the initial panic and stress due to the cash crunch, the two families focused on the couple getting married on schedule. The wedding which was planned to be a grand one was converted into a small family affair with a very basic dinner menu – chai and paani. It’s great to see the two families giving more importance to the bond between two people and not to the glitter and extravagance that the big fat Indian weddings generally offer.